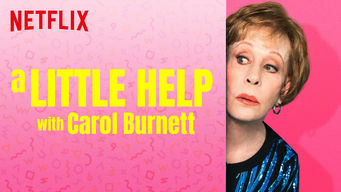 How to watch A Little Help with Carol Burnett: Season 1 (2018) on Netflix Finland! Yes, A Little Help with Carol Burnett: Season 1 is now available on Finnish Netflix. It arrived for online streaming on May 4, 2018. We'll keep checking Netflix Finland for A Little Help with Carol Burnett: Season 1, and this page will be updated with any changes. 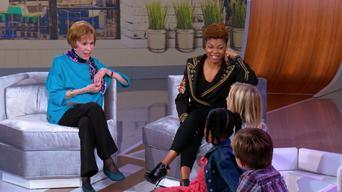 Comedy icon Carol Burnett returns to TV with a panel of clever kids, who help adults and celebrity guests solve their problems with brutal honesty. Adult-sized dilemmas. Kid-sourced solutions. Add celebrities, a live audience -- and a slide -- and hilarity ensues. Season 1 of A Little Help with Carol Burnett has 12 episodes. Because different Netflix countries have different availability for episodes, you'll need to check the episode listing below to see which are available in Finland. "Friends" star Lisa Kudrow asks the pint-sized panel for help with clashing commitments. Conflicted Jake can't find the words to tell the truth. The kids dish advice on a marriage proposal and mending a broken heart, then help Candace Cameron Bure of "Fuller House" plan a big surprise. Tony Hale of "Arrested Development" and his wife can't agree when it comes to TV. The kids also help a harried couple find some alone time. DJ Khaled hates flying -- can the kids help him conquer his fears? Other problems include a messy tween and a kid who won't stay in his own bed. David can't deal with his roommate's mother, and Laurie knows no one listens to her. Brittany Snow of "Pitch Perfect" can't stop procrastinating. SOS! 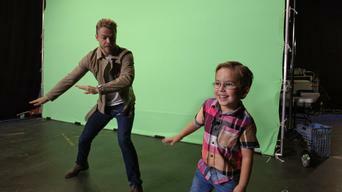 Derek Hough of "Dancing With the Stars" isn't getting enough sleep. Other guests struggle with showering -- and smelling a friend's bad breath. 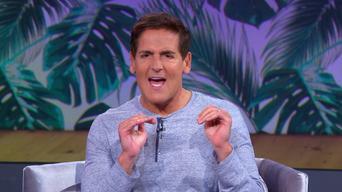 Mogul Mark Cuban seeks advice on dealing with his teenage daughter's suitors, and a coif-challenged guy who lives with his parents needs romantic help. Wanda Sykes wants to know how to tell the truth without hurting someone's feelings, while handsome Ben fears people can't understand his French accent. A phone addict solicits ideas for breaking his habit, and "Stranger Things" star Finn Wolfhard gets tips on dealing with a pal's lame text excuses. Fed up with the pranks pulled by her "Empire" co-star, Taraji P. Henson asks for suggestions on payback. The kids also offer financial advice. After Billy Eichner stops by for pointers on persuading people to call instead of text, the kids weigh in on a hair makeover and wearing a hijab. "Modern Family" star Julie Bowen receives expert advice from the adorable peanut gallery on ways to stop embarrassing her sons when she's having fun.